Available in 2 sizes: for large 130 x 180 mm (5" x 7") and mega 160 x 260 mm (6" x 10") hoops. This set of machine embroidery designs is part of our Christmas and Seasons collections. It uses the Satin Stitch technique. The designs is available for the Large hoop (5" x 7") and Mega hoop (6" x 10"). 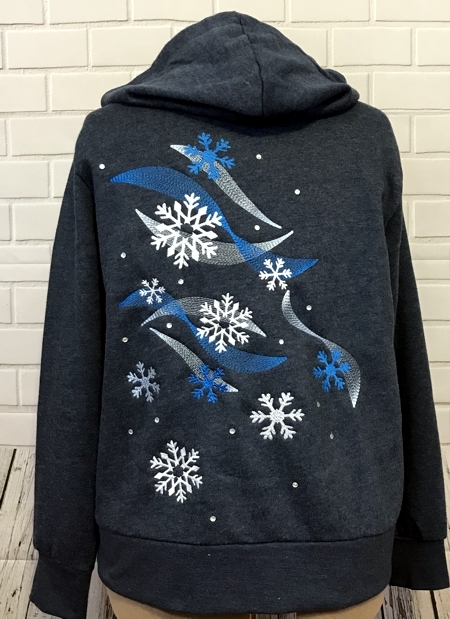 We decorated hoodie with designs from this set. You can read about how we did it on the project page.